The current aspects of business stability, agility, and high productivity change the way many small and mid-sized companies operate their business, and this includes large companies too. Most IT executives want IT staff to do more for less and urgency to simplify problematical IT processes at a modest price. It is never too late to get in the cloud either by building your cloud or using a third party cloud infrastructure (public cloud). The cloud is a way to simplify your IT operations and support. It takes away the hassle and cost of building a data center and saves money on electricity, cooling, hardware, networking and more. 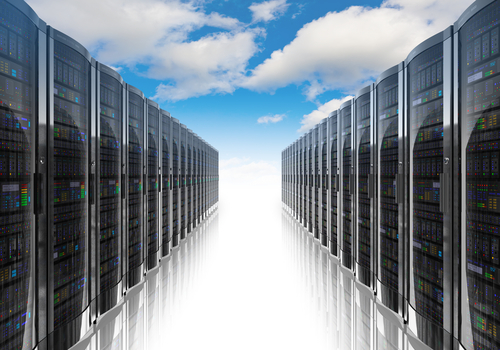 Besides, the rise of cloud computing has driven down the cost of equipment and made virtualization seamless. The cost of running and maintaining the cloud infrastructure. If you choose a cloud provider (e.g., Amazon Web Service - EC2, RackSpace, Salesforce, Microsoft and more), you need to understand which cloud company can offer the best solution to streamline your operation and add value to your business. How does the value of implementing a private cloud translate to your customers as well as your stakeholders? The return on investment into private cloud compared to the public cloud. The benefits should offset the costs. Involvement of IT operation team, such as controlling access, maintaining, and securing the cloud. Often the developers, application users complain that it takes weeks or months for a system to be set up by the infrastructure team because the process has to go through different approval phases. Even though cloud computing increases efficiency, and enhances business agility, I believe that cloud infrastructure should be controlled and managed by the IT operation and admin. The cloud security should be the top priority when adopting private cloud. The IT security team needs to protect and avoid security breach to the cloud infrastructure and all the services that contain your cloud services. The company should invest in an experienced professional that will implement the private cloud. You will need to define the importance of selecting a public cloud and the return on the investment. Determine which cloud providers can increase your IT operation agility and better serve your customers. Cloud security, access control, and user management must be in place to protect your infrastructure and critical applications. Understand your cloud provider service level agreement (SLA) and the ability to handle your computing requirement. You should know your cloud provider 's contracts and fees. The details in your contracts should determine whether you locked into any vendor's contract and extra costs. Similarly, make sure you can quickly move your applications to other cloud providers. If you want to host your private cloud, the process should be effortless. Likewise, there is another side to the public cloud that is just beyond the customer's control, which is the cloud infrastructure. I do believe that clients should make sure that their cloud systems are up and running all the time to avoid service interruption if your business requires being available 24/7, 365 days. For more information preventing service disruption in the cloud: How to avoid disruption of services in the Cloud better?